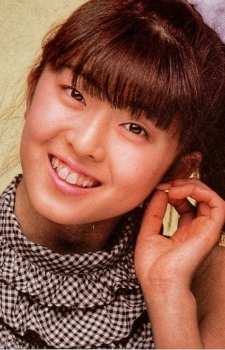 Mariko Shiga (志賀 真理子, Shiga Mariko?, 1969-12-24 - 1989-11-23) was an idol star and seiyū born in Funabashi, Chiba Prefecture. She attended and graduated from Funabashi Municipal High School before enrolling in the University of California, Riverside in 1989. While on a trip to Arizona in November of that same year, Shiga was killed in an accident near Flagstaff when she was thrown from the vehicle due to the car rolling as it swerved to miss an animal. Shiga had a starring role as one of the children answering questions in the NHK quiz show Donna Mondai Q TV from 1984 to 1985. She performed the song Yume no Naka no Rondo, which was used as the theme song for the July 1985 OVA Magical Princess Minky Momo: La Ronde in My Dream. In 1986, Shiga played the role of Yumi Hanazono, the main character in Magical Idol Pastel Yumi. Her single, Freesia no Shōnen, was used as a theme song for the same series, and this helped her gain in popularity. After playing the role of Yumi and performing the theme song for the series, she officially made her debut as an idol singer under Warner Pioneer. Shiga’s only song to be listed on the Oricon Top 100 Weekly Rankings is Freesia, which ranked as high as #48 during the week of March 31, 1987. In 2001, Shiga was posthumously awarded the “Natsukashi no Ongaku Daishō” at the 17th Annual OGUmen Awards for her song Rainy Day Hello. Just started watching Pastel Yumi, and now it feels kind of sad knowing the voice actress dies just a few years later.